In the market for a new couch? Sofas are often the centerpiece of your living room, but they can be quite expensive to buy. However, you don't have to break the bank to get something that you love. When you shop at Walmart, you can get a stylish and versatile piece for a whole lot less than you’d pay at a traditional furniture store. 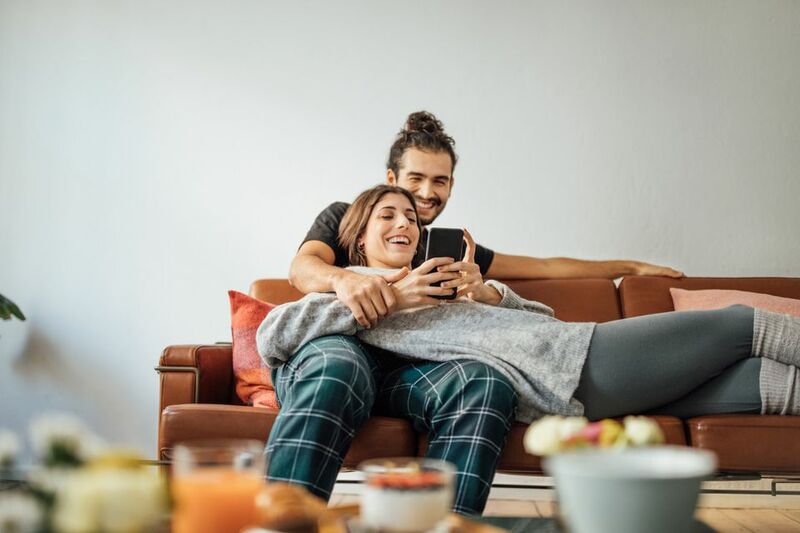 Whether you’re looking for a chic modern couch or a multi-functional sofa bed, Walmart has a surprisingly large selection of products to choose from. Here, the top-rated couches at Walmart that you can buy right now. One of the best sofas you can find at Walmart is the Signature Design by Ashley Bladen Sofa, which comes in grey or coffee finishes. This couch is 90” long and 36” deep, with a sturdy wooden frame and a beautiful faux leather upholstery. This couch has a traditional appearance that would fit in with just about any decor style, and it’s half the price of what you’d pay at a furniture store. It can easily seat three people on its loose cushions, and the armrests are padded for extra comfort. The sofa has dozens of glowing reviews from buyers who say the fabric is gorgeous and the cushions are perfectly plush and comfortable. With a great price, sturdy construction, and elegant design, what’s not to love about this couch? If you’re looking for a budget couch for your living room, you may be interested in the Mainstays Arlo Tufted Futon. This inexpensive couch comes in black and grey finishes, and you’ll be hard-pressed to find anything better for less than $150! The futon measures 69” long and 35” deep, and it’s finished in a plush microfiber fabric. It has a modern design with a split back, and it converts into a sleeping surface with ease. It’s the perfect small-space solution, and reviewers say it’s easy to set up. Many people note the futon has a sleek modern appearance and the fabric is surprisingly comfortable to sit on. Not bad for a budget pick! For an elegant, contemporary couch that’s perfect for small spaces, you can’t go wrong with the highly-rated Nathaniel Home Nolan Small Space Couch. The upholstered sofa comes in either grey or blue, and its 58” length is perfect for apartments, small living rooms, and more. The Nolan Sofa features a fully tufted back, complete with buttons, and a beautifully classic silhouette that will mesh well with any decor. It’s supported by solid hardwood legs, and reviewers say the cushions are more on the firm side. Further, the couch is described as comfortable and "perfect for small spaces," as it’s roughly the size of a loveseat. If you have a big living space, you’ll need a spacious couch to fill up the room. We recommend the Noble House Victoria 3 Piece Charcoal Fabric Sectional Sofa Set because it's large enough to fill a spacious room, and it's available for hundreds less than designer-brand sectionals. This large sofa comes with three pieces: the sofa itself is 70” wide and 31” deep, while its chaise is an additional 70” long. When assembled, these two pieces will create a spacious area for your family to spread out. Further, you’ll get the matching ottoman, which measures 31” x 25” x 19”. 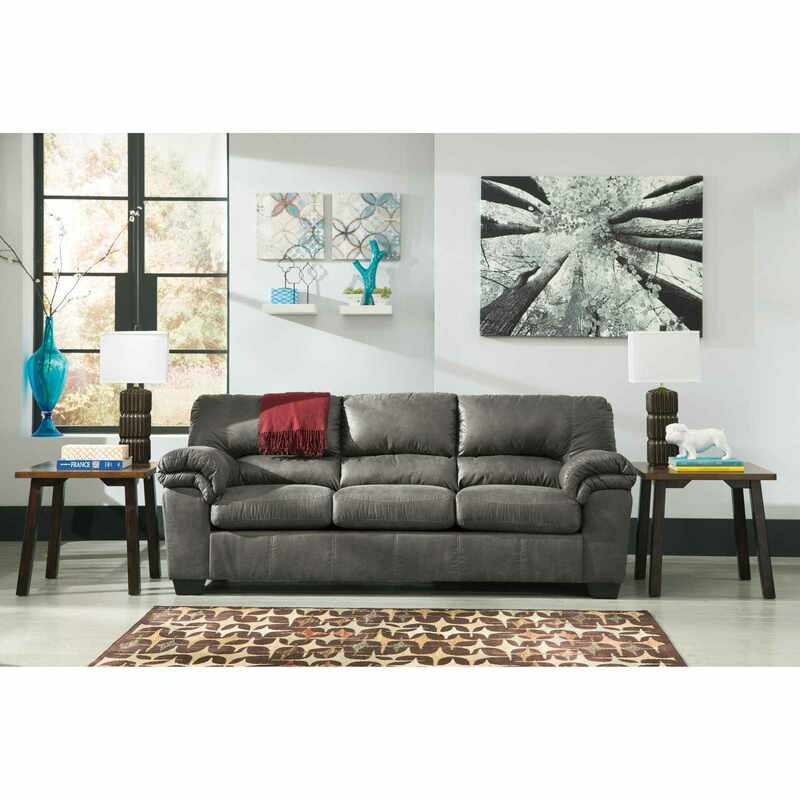 The sectional has a lovely dark grey finish, and the foam cushions are firm and supportive. Reviewers say this sectional is well-made and can comfortably fit up to six people. It’s easy to assemble, and even though the cushions are firm, they’re still comfortable to lounge on. Pets are known for wreaking havoc on furniture, which is why many pet parents take their furry friends into account when shopping. If you’re looking for a sofa that can stand up to the claws of your pets, one of your best options is the Coaster Samuel Bonded Leather Sofa. ﻿This product is 85” long and 38” deep, and it has a faux leather finish that comes in four colors. The durable wood frame will stand up to your pets’ jumping, and the pocketed coil cushions will ensure the whole family is comfortable when reclining on this couch. The Coaster Samuel Sofa gets top marks from reviewers who say it looks beautiful and can withstand a fair bit of use from both pets and kids. If you’re furnishing a smaller space on a budget, you may want to consider a futon instead of a full-size couch. Futons resemble sofas, but they are adjustable and can be used for sleeping, as well. The Novogratz Vintage Tufted Velvet Split Back Futon is a particularly well-received futon from Walmart thanks to its low price and attractive appearance. This futon comes in five colors and it measures 81” long and 33.5” deep. It features a vintage-inspired design and is finished in a soft velvet with a diamond-tufted seat, cushion, and arms. The futon’s split-back can be reclined in multiple positions, including flat as a sleeping surface, and reviewers say it’s an incredibly sturdy, durable piece of furniture. Many reviewers remark that it looks more like a full-size couch than a futon, but it’s extremely comfortable both for lounging and sleeping. Want to take a look at some other options? Check out our round-up of the best futons. Regularly host overnight guests? Then you know how beneficial it can be to have a sleeper sofa on hand. If you want to invest in this versatile piece of furniture, The Better Homes and Gardens Porter Sleeper Sofa is a well-designed piece of furniture, and it consistently earns top marks from reviewers. This small sofa comes in grey or blue linen fabrics, and it measures 54” long and 32.5” deep when closed. The sofa can easily convert into a twin-size sleeper, complete with a memory foam mattress. However, note that the bed weight limit is 225lbs. As a sofa, this product has a contemporary design, complete with tufted details, and reviewers write it’s a cute, sturdy option for smaller living spaces. Many say it converts into a bed easily and is much more comfortable than older sofa beds. Get more bang for your buck with a set of sofas from Walmart. The Lifestyle Solutions Hartford 3 Piece Microfiber Sofa Set is a surprisingly affordable product that’s ideal for those who need to furnish a full living room. This product comes with a black sofa that’s 79” long, as well as a 56” loveseat and a 34” chair. All the pieces have wooden frames and durable microfiber upholstery, as well as plush seating to keep all your guests comfortable. According to reviewers, this couch set is perfect for a starter home, and the fabric is soft and comfortable to sit on. Most furniture from Walmart is simple and basic, but if you’re looking for a statement couch to add a little pizzazz to your home, you should look at the Signature Design by Ashley Darcy Full Sofa Sleeper. This sofa-bed comes in nine lovely colors and has a modern design that reviewers just love. This couch measures 90” wide and 39” deep, and it folds out to reveal a full-size mattress. The product is designed in a contemporary style, complete with clean, curving lines and a soft, vibrant fabric. Plus, there are pillow-top arms to keep you comfortable as you relax. Reviewers say this couch is bigger than anticipated and it easily converts into a bed. Our writers spent 2 hours researching the most popular Walmart couches on the market. Before making their final recommendations, they considered 15 different couches overall, screened options from 12 different brands and manufacturers and read over 30 user reviews (both positive and negative). All of this research adds up to recommendations you can trust.